On the subject of Mother's Day, although it has turned into a commercialised affair, the sentiment behind it is still important and worth celebrating. I know my own mother doesn't think much of it herself, so instead of buying flowers or trinkets, I'd just like to say thank you mum for being there for me through the rough times these past few months. 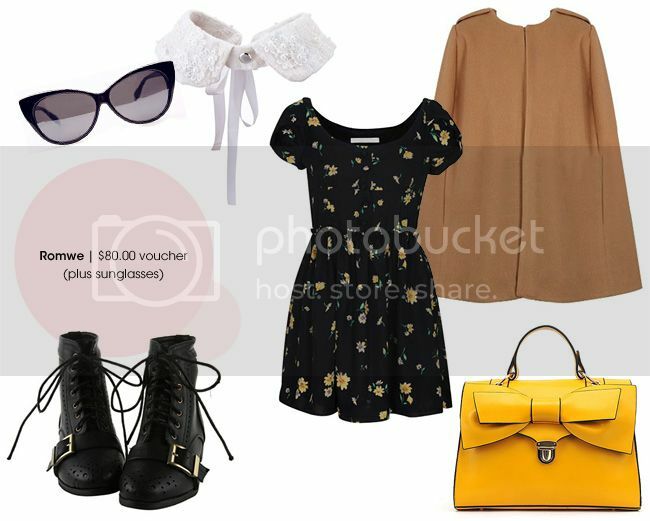 Romwe is offering a prize pack of an $80.00 gift voucher to spend on anything your heart desires on their online store plus a pair of sunglasses (picked randomly). Above are a few of my favourite items currently on their site. Also, shipping is free worldwide and you can get 20% off your first purchase by signing up! She Inside is offering a prize pack of two cute sweaters valued at $70.00. 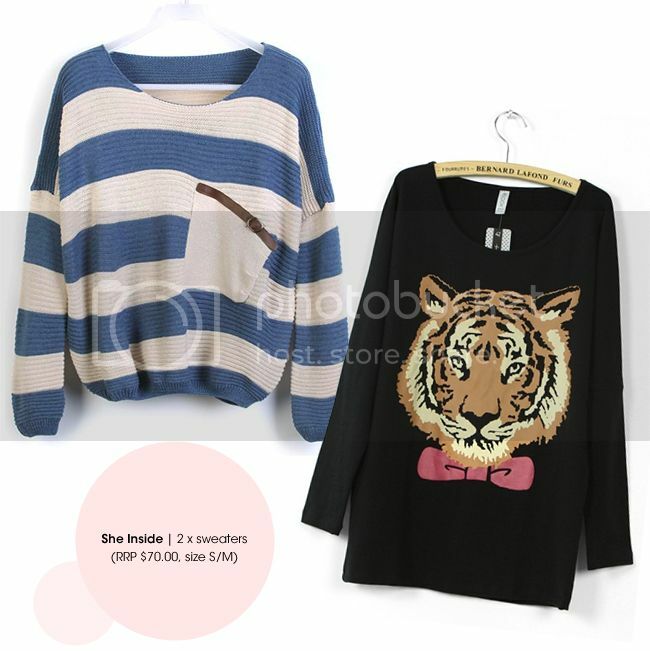 Both are free size and would best fit size S/M. She Inside also offer free shipping worldwide and new customers can get 15% off their first purchase just by signing up! ♥ Sign up on the Romwe website and follow them on Twitter OR Pintrest. ♥ Like She Inside on Twitter OR Facebook. ♥ Comment on this post with the same email you use for your Facebook/Twitter/Pintrest/Romwe sign up. Don't forget to leave a second comment on this post with a link to your tweet to receive a second entry. ♥ Entry is limited to two entries per person. Each entrant must follow the above steps to qualify plus be a follower of Le Blog de Sushi via Google Friend Connect, Facebook or Twitter. 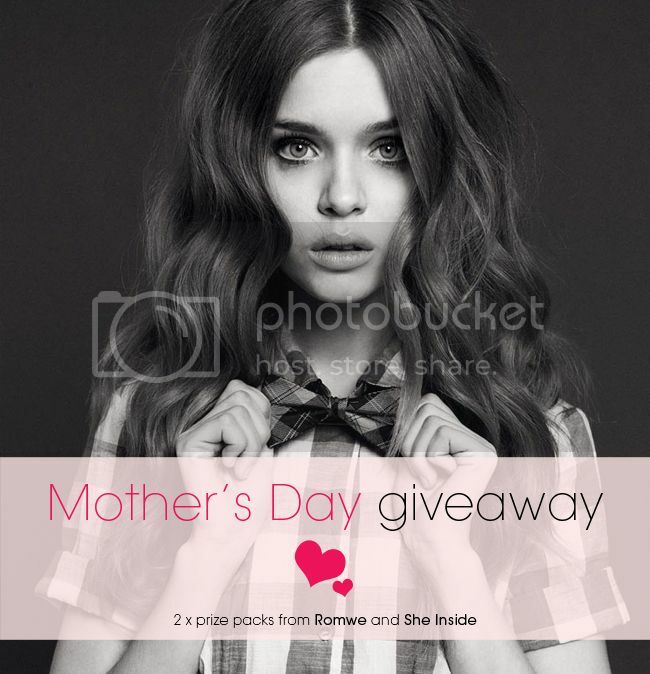 ♥ Giveaway closes 20th May and the winners will be picked randomly. Good luck to everyone! and tweeted the giveaway also! I have signed up to romwe! yesss please. already love them both/follow them on twitter. aaaaand i love my mom. Love both of these sets ! Followed you on GFC, Romwe and Sheinside on Twitter (@PiiaO). I registered in romwe with bowtiediary at gmail dot com and everywhere else pounpuu at gmail dot com . hey, my name is Joanna. Already having an Romwe acccount: boheme.fille@yahoo.com. 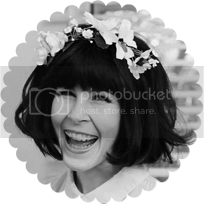 I also follow them on twitter: @LaBohemeFille and Pintereste: Simona Floroaia. I also like SheInside on facebook: Simona Floroaia. Hi! Thanks so much for this giveaway, i love your blog! I did all of the above :) I'm a recent follower of your blog, my first comment, and I think you're adorable! I also followed you&tweeted the message! I signed up on the Romwe website using the email weirdindy04@yahoo.com, and follow them as soindywaits. I also follow She Inside on Twitter using @soindywaits. Aaaaaand I just tweeted about the giveaway! Using @soindywaits! I Liked She Inside on Twitter AND Facebook. Just entered giveaway through twitter! I just started following your lovely blog! And I also tweeted the message for the bonus entry!